Campaigners say the closure of the West Coast Main Line due to storm damage has strengthened their case to extend the Borders Railway to Carlisle. Repair works are expected to continue at the Lamington Viaduct in South Lanarkshire until March. The Campaign for Borders Rail said taking the line beyond its Tweedbank terminus would create an alternative route between Edinburgh and Carlisle. A feasibility study is planned into the viability of lengthening the route. The Edinburgh to Tweedbank line opened to passengers last year but the CBR would like to see that taken on to Carlisle in due course. 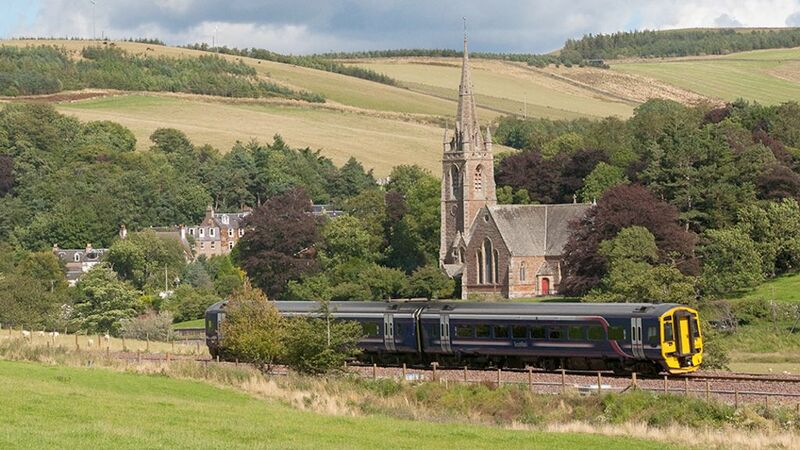 'The current terminus of the Borders Railway at Tweedbank between Galashiels and Melrose should only be regarded as temporary,' said chairman Allan McLean. Campaigners say the closure of the West Coast Main Line due to storm damage strengthens the case to extend the Borders Railway to Carlisle.